What to expect from the 4th Congress on eCardiology and ehealth in Berlin. November 2017. As the 4th congress on eCardiology and eHealth approaches, HealthManagement spoke to congress director, Prof. Hugo Saner, to learn more about the congress and his thoughts on developments in ehealth and ecardiology. The European congress on eCardiology and eHealth has the goal of connecting clinicians and technology to implement eHealth in daily practice. How has the congress made progress on this goal? The integration of ehealth and telemedicine into clinical practice can only be successful if the major stakeholders are communicating and working closer together. With each congress edition we made a great step forward in this direction. The first congress, in Bern, Switzerland in 2014, had about 100 participants and 25 abstracts. Last year’s congress in Berlin had 460 participants and close to 100 abstracts. We were really able to connect people and interests from different stakeholders. About half the delegates were doctors and researchers; close to half were from developers or from industry. We have been able to achieve our goal to focus on clinical applications and evaluation and integration of ehealth and telemedicine into the healthcare system of today. What have been the congress highlights? We have more and more speakers from around the world; last year we had speakers from South America, Africa and Australia. The highlight for me at the last congress was the Young Investigators Award session where we saw really excellent research. They created great enthusiasm, the room was crowded and there was a great atmosphere. The other highlight was that the general feedback of the participants was excellent. More than 80% of participants found the congress good or very good. A major asset of the congress, the one thing that makes it unique, is the combination and cross-fertilisation between two worlds, cardiology and digital technical solutions. What are you looking forward to at the next congress? A new format called cross-sessions. In the same session we will have representatives from industry and from medicine and health. We declare conflicts of interest so that we are ethically correct. Other medical congresses don’t do that, and we try carefully to foster this exchange between the medical world and industry with this format and aim to have good discussion between the different stakeholders. 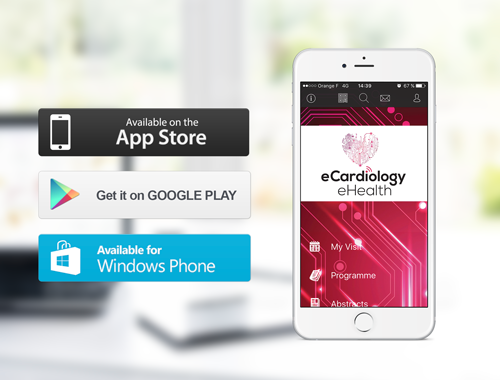 What are the most promising ehealth/mhealth/ phealth applications for cardiology? These include prevention and lifestyle interventions. You can reach many people through smartphones with preventive messages and encourage a healthy lifestyle. There are applications for chronic disease management, including heart failure, hypertension and diabetes, and there are many ongoing studies in this area. 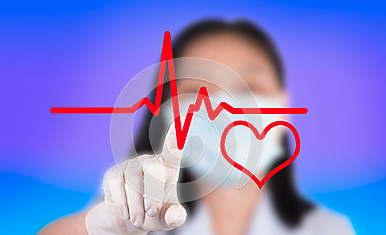 There are applications for arrhythmia detection, including early detection of atrial fibrillation and telemonitoring of devices such as pacemakers, implantable cardioverter defibrillators (ICDs) and telerehabilitation. There is good progress and ongoing research in all these areas. What are the challenges in ehealth/mhealth/ phealth in cardiology? The major obstacles to the integration of ehealth and telemedicine into daily clinical practice include limited large-scale evidence. We have very few large-scale studies and there is a lack of studies in particular for cost-effectiveness. There is also lack of interoperability of systems. We have in most countries an inadequate or fragmented legal framework and, most importantly, lack of reimbursement. The major problem is that the development is technology driven and comes from outside of the medical community (not bottom up). Therefore we have a huge gap between technical development and real clinical application. The congress tries to help to close this. Some recent trials in remote monitoring in heart failure patients have had disappointing results in terms of improving patient outcomes. Please comment. 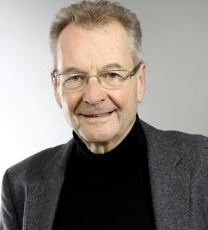 The problem is that there is a great heterogeneity of patient selection and in the surveillance method using sophisticated devices—by monitoring weight, blood pressure and electrocardiogram or by remote monitoring of these parameters as it is done in the telemedicine heart failure (HF) centre of Prof. Friedrich Koehler in Germany. I think we are looking for too sophisticated a solution. If you can monitor weight, blood pressure and heart rate and you can improve adherence to medication then you have a chance to be successful in the majority of patients. Remote Management of Heart Failure Using Implantable Electronic Devices (REM-HF) (Morgan et al. 2017) is too sophisticated for the majority of HF patients, and way too expensive. Surveillance of the key parameters is the key factor of success for a certain percentage of patients. Big data is an important aspect of ehealth. What promising applications do you see for big data in cardiology? There are two promising applications, in research and in personalised medicine. We have a huge amount of data in hospitals as medical records, and in labs. When we are able to connect these data then we can find out common patterns in medicine and even connect this information to genetic testing, which will then result in more personalised medicine, the two big areas for big data. How can different disciplines work together in cardiac rehabilitation? We founded ambulatory cardiac rehabilitation in Switzerland more than 30 years ago. When I started, we had sanatoriums and stationary rehabilitation. Today we have 64 ambulatory cardiac rehabilitation programmes, 36 ambulatory diabetes rehabilitation programmes and several ambulatory rehabilitation programmes for patients with peripheral artery disease and neurological problems. Most hospitals have the most important disciplines for cardiovascular rehabilitation including physiotherapy, exercise therapy, smoking cessation, counselling and psychological support. In cardiology and in particular in cardiovascular rehabilitation, the idea is that these disciplines should work together, because the risk factors for neurovascular, cardiovascular and peripheral artery disease are the same and need the same medication and lifestyle modification. It needs to be organised on a local level by bringing the different disciplines together. Morgan JM, Kitt S, Gill J et al. (2017) Remote management of heart failure using implantable electronic devices. Eur Heart J, doi: 10.1093/eurheartj/ehx227.